Festivities in India have already begun and Parsis in India are geared up to celebrate their New Year on 17th August this year. The Parsis are the oldest Zoroastrians in the world. When Persia was invaded on seventh century; few Parsis migrated in India and Pakistan. In India Parsis follow Gregorian calendar and celebrate their New Year or Pateti when the duration of day and night becomes equal. On the other hand the other Zoroastrians in the world celebrate their New Year or Nowruz on 21st March. 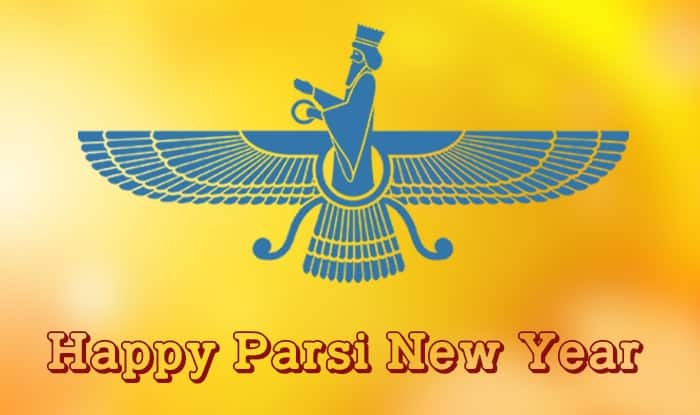 Regardless of the nationality of the Zoroastrians the joy of the celebration of the Parsi New Year remains the same. The Parsis celebrate their Pateti by displaying certain auspicious items in their home décor such as a sacred book, a picture of Zarathustra, mirror, candles, incense burner, fruits, flowers, a goldfish bowl, sugar, bread and some coins. These items represent prosperity and longevity for the family members. The Pateti begins with decorating the home with beautiful rangoli patterns and flowers. Living room is all about gathering of people on different festive occasion. Festive time means get together with your near and dear ones. Make your living room royal with Diwan set welcoming guest on this big occasion to share love and spread joy. To bring the festivities of Pateti into your living room, you could put Turkish rug with bright red base. You could put cushions with red velvet cushion cover laced with Gota work. You could also use throws with patch work and multicolored tassels to decorate the couch. On Pateti, Parsis visit nearby fire temple or Agiary. Therefore, decorating the wall of the living room with a Sun Tapestry would symbolize Pateti. The most festive part of the home during Pateti is the dining table, where food items with seven Ss are mandatory. They are Sabzeh (lentil sprouts represents rebirth), Samanu (sweet pudding represents affluence), Senjed (dried fruit of the oleaster tree represents love) Seer (garlic represents medicine), Seeb (apple represents health and beauty), Somaq (sumac berries, represents the color of the sunrise), and Serkeh (vinegar represents age and patience). To add bright colors into the dining room, you could decorate the dining table with bright blue Sanganeri print table cover and silvery blue table mats. Pops of silver and blue cutleries would enhance the colors of the living room. To add a little boho touch into the dining room, you could hang bohemian lanterns and Jaipuri mirror work chimes. Decorate your Bedroom as well because you spend one third of your life to make your body and mind relax and refreshing. Your morning starts from here with full of positive vibes flowing around the room. Spend some penny for ordering online handmade printed bed sheets like block print bed sheet, Sanganeri print bed sheets of different sizes such as double or king sized bed sheet designs. Even you can go with some colored bed sheets like shades of yellow, shades of blue and many more. Make your bedroom a scared place by ornamenting it with colorful printed handmade bed sheet and soothing colored bedroom curtains. To celebrate Pateti, Parsis spring clean their homes to welcome the New Year. Pateti is the occasion where Parsis pray to clear their conscience and start a fresh year without any repentance. They celebrate this joyous occasion with “excess” food and “excess” colors. There is never one course meal on the dining table and there is never subtle home décor. This festival is all about renewal and celebration of new life and a new beginning. This is perfect time to decorate the home interior for the upcoming festivals.